IDIQ Contracts + MSAs | Cultural Resource Analysts, Inc.
CRA has extensive experience providing cultural resource management services under Indefinite Delivery/Indefinite Quantity (IDIQ) contracts for a variety of federal and state agencies, which provide our clients with flexible, as-needed support that emphasizes timely solutions and high-quality work. 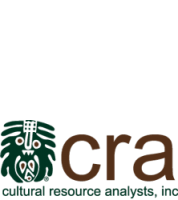 While CRA has held a large number of IDIQ contracts as prime contractor, our reputation for responsiveness and our expertise in all facets of cultural resource management have made CRA the subcontractor of choice for many large architecture and engineering and environmental firms on their IDIQ contracts. Regardless of the contracting structure, CRA prioritizes building long-term relationships, remaining adaptable to changing priorities and schedule alterations, and facilitating the ability of our partners and clients to meet their cultural resource and historic preservation needs as efficiently as possible. CRA’s active IDIQ contracts are listed below. In addition, CRA’s list of Master Service Agreements (MSAs) is provided. These MSAs allow us to negotiate projects quickly and provide our clients with a mechanism to effectively access our pool of cultural resource professionals as needs arise, minimizing the potential for costly project delays. If you would like additional information about our IDIQ contracts or MSAs, please contact Paul Bundy, Business Development Coordinator, at bundypauld@crai-ky.com.